We arrived in Johannesburg on time around 7AM. All in all the it was quite quick to leave to plane, through passport control, grab the luggage and rental car. I stopped by to local Vodacom shop to collect my African SIM card which I had ordered online, to keep contact with Sari at home. It was about 10 am we drove off to a nearby supermarket to pick up the items, (some rice, crate, cooler box, blanket, etc) Maud had also ordered online. After a small sightseeing on Johannesburg airport surroundings we found our way toward Piet Retief and 1 st stop over. Maud had found a beautiful and comfy guesthouse called Dusk to Dawn Farm Guesthouse and also arranged there a really fabulous dinner. It was a perfect way to start a vacation! We both had our own large and very stylishly decorated houses to stay in. 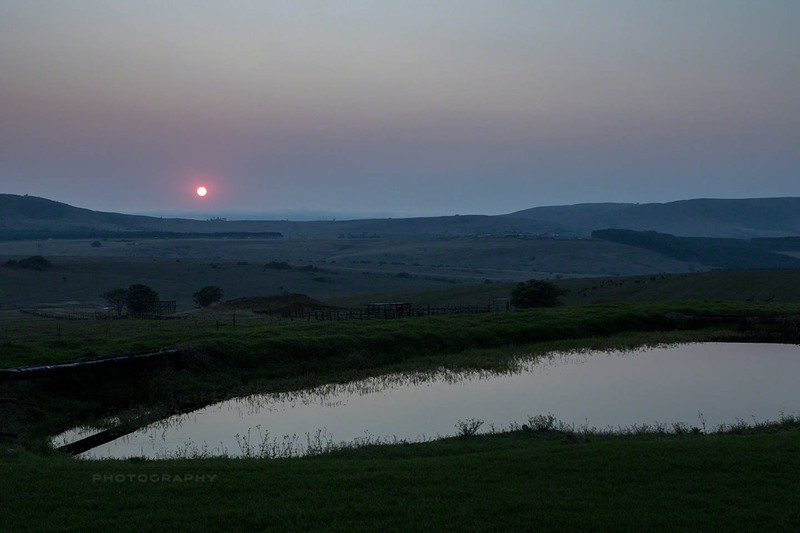 I was up early because I had heard that African sunsets and rises are something very special what comes to photography. And indeed that#s correct!